Since 2005 we have offered our expertise and quality service backup to clients in the UK and overseas with a team of global distribution experts in house. With a huge range of equipment to offer we supply leading businesses, governments, ​​​the HVAC trade and end users with quality branded equipment. We supply gas, oil and electric space heaters for industrial and commercial applications from all the leading manufacturers including Olympus Jetheat, Fral, Broughton, Trotec, Master, Clarke, Stanley, Powrmatic and Kroll. With a huge selection of electric fan heaters, ceramic heaters, warehouse heaters, propane space heaters and patio heaters there is something for everyone. We supply commercial and domestic clients and offer discounts on volume on all of our space heaters. All our electric heaters are supplied in 110V, 240V and 415V~50Hz format. Take a look at our industrial heater section here. We supply the Olympus Jetflow dust and fume extractor brand. The Jetflow range comes in standard 300mm extraction in 110V / 240V with the new explosion prove version for hazardous work zones. Designed to give the greatest possible performance / reliability and are suitable for even the most demanding industrial applications. Take a look at the new range in our dust and fume fans section. We offer one of the most comprehensive range of air conditioning equipment from manufacturers such as Mitsubishi Heavy Industries, Mitsubishi Electric, Carrier, LG, Hitachi, Daikin, Carrier, Panasonic, Midea, Toshiba and Samsung air conditioning. We supply air conditioning equipment formats such as wall, ducted, floor, cassette, portable, chillers and rooftop packaged systems. Our portable air conditioning units range from 2kW to 25kW in split and all-in-one format. Try our spare parts finder service, we supply spare parts from almost any air conditioning manufacture and distribute spare parts globally. 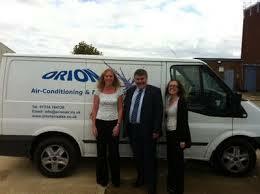 Take a look at our air conditioning section here. From Aspera, l’Unite Hermetique, Mitsubishi, Danfoss, Aspera, Copeland, L’Unite Hermetique, Mitsubishi , Daikin and ACC Tecumseh our range covers R22, R134a, R407c, R12, R410a and R404a gases. All compressors are supplied with respective electrics and can be shipped anywhere in the world. Take a look at our refrigeration section here. We offer a installation service on all our air conditioning heat pump products with all our engineers are F-Gas certified to comply with UK and EU government regulations. We have been installing air conditioning systems for over 12 years and have experience, certification and approval to supply of all the major brands. We offer our clients the option of lower cost branded systems as well as high end manufactures such as Daikin and Mitsubishi Electric air conditioning so we can offer the best value to meet the needs of our clients.